Last year 17 nuns from different Kagyu nunneries were the first cohort to join a special workshop in which they learned how to make high-quality Chinese incense. 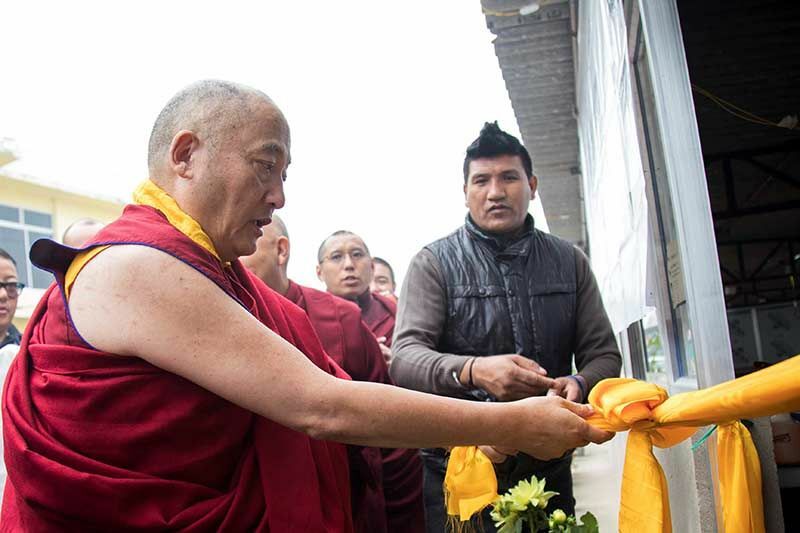 This year the focus changed to producing high-quality Tibetan incense using traditional methods, and the training period, previously three weeks, was extended to four. 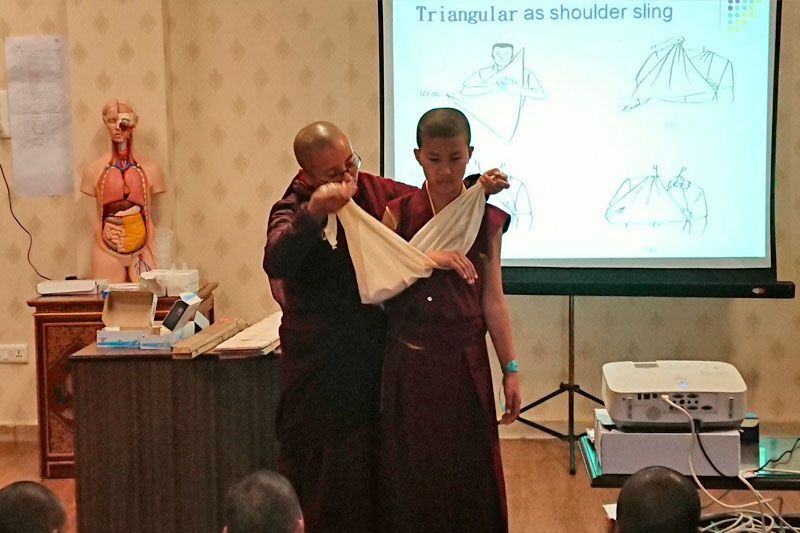 Ten nuns from last year’s training and five new students came to study this skill with Tibetan Doctor Dr Dawa, assisted by Ru-Ruei Chung, a professional Chinese incense maker from Taiwan who taught the course last year. 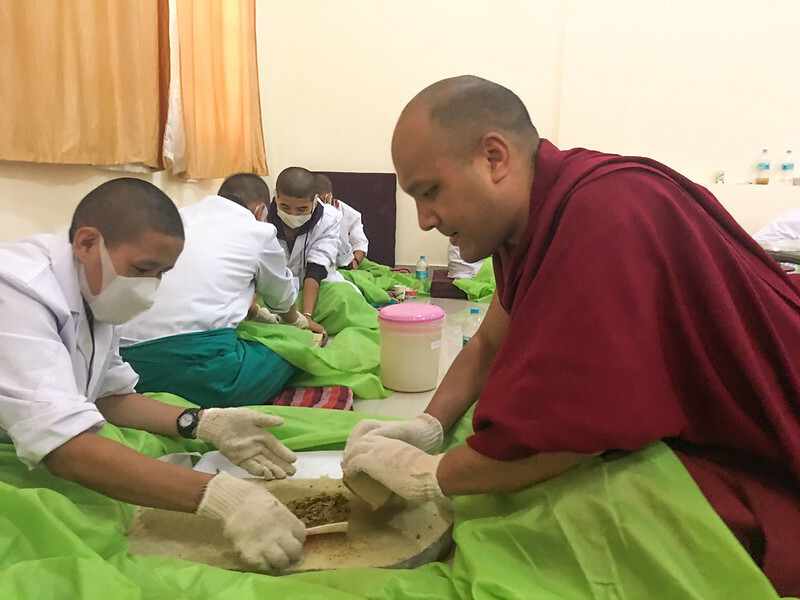 The project was based in a large airy room at the back of the Monlam Pavilion, and the nuns wore overalls, facemasks and gloves for protection against the dust and to keep the environment in which the incense is being made as clean as possible. 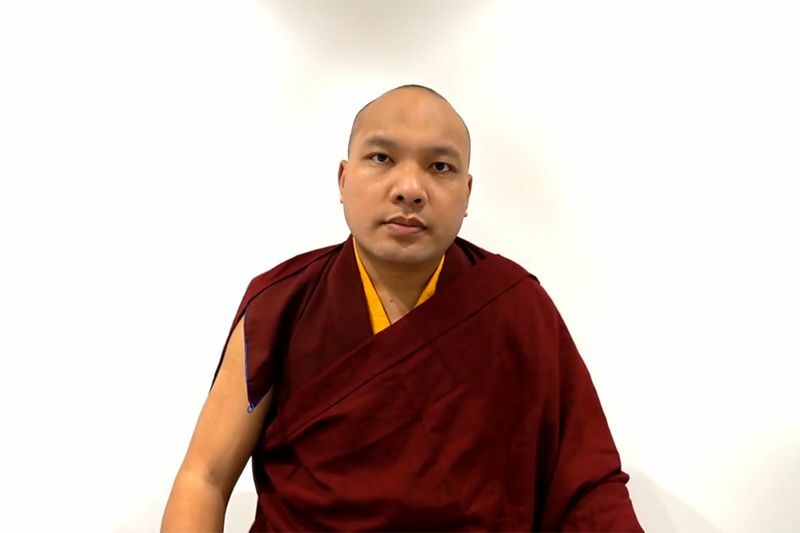 However, the Gyalwang Karmapa visited the project nearly every day to speak with the nuns and assist them in the work. Not only did he encourage them by saying how well they were doing, but he even helped them grind the ingredients by hand himself. 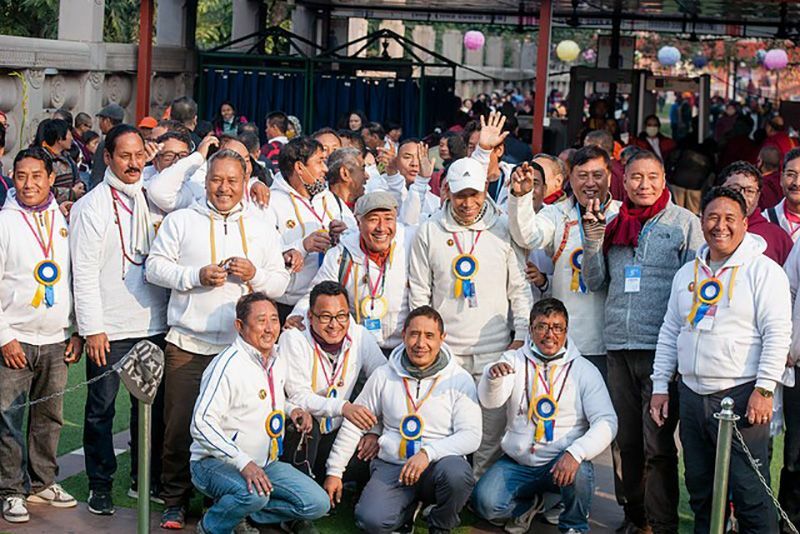 The nuns explained that His Holiness’s involvement and support gave them the enthusiasm and determination to keep going when the work was difficult or they felt tired. Next, the ground ingredients had to be mixed together. Then they were rolled by hand, cut to size, packed in boxes and dried in the sun. Two qualities of incense were made this year. The less expensive one was made from just two ingredients: cedar and white Himalayan rhododendron. The more expensive one contains thirteen medicinal herbs and substances including nagi, cloves, cardamom, Kashmiri saffron, white sala and bdellium, and is based on an old recipe recorded in the Sorig Patra by Deumar Geshe Tenzin Phuntsok, a highly-respected physician in 18th century Tibet. Both incenses have been made using the highest quality, pure ingredients gathered from the Himalayan regions of India, Nepal, Bhutan and Tibet. This year the nuns made four different products in total. As well as the incense, they made a quality chilli spice powder from ground red chilli, black pepper and cumin, and they also made an incense powder which can be used in smoke offerings. In total, the nuns produced 1600 boxes of incense and 133 small jars of chilli spice powder. 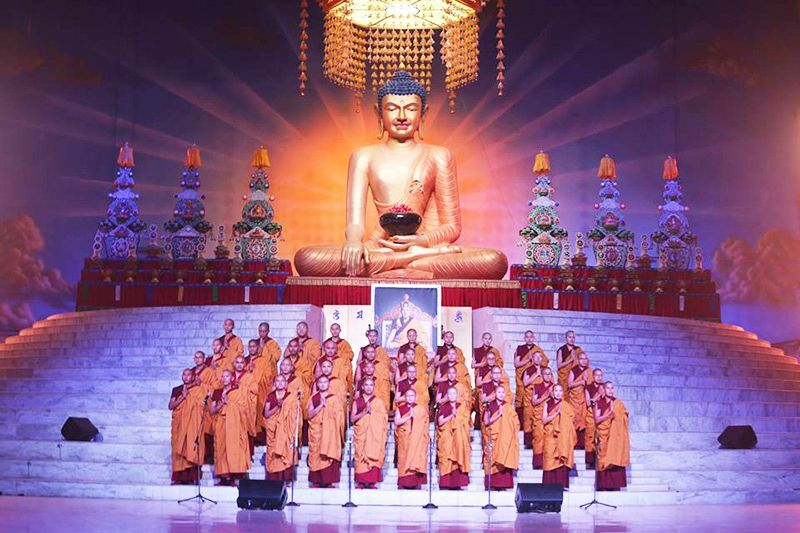 All the proceeds from the sales of these products will go towards education for Karma Kagyu nuns, and, because this year’s project was scheduled differently, an added bonus for the nuns themselves is that this year they will be able to join the Arya Kshema teachings and debates in March 2017. Click here to view the Arya Kshema Incense Project Picture Story.